The terms and policies are a bit of a doozy. Even compared to websites like YouTube they have a bit more free reign over what they do with your content and some extra restrictions on posting. A lot of the stuff here is standard social media things, but the fact that they can continue to use and distribute content you deleted and that you revoke your right of attribution is a bit troubling. Also users aren’t allowed to post sponsored content to DriveTribe which seems a bit unfair. That’s a bit of a departure from most social media websites like YouTube and FaceBook. Professional photographers may run into issues there if any part of their shoot is promotional or sponsored in nature. Businesses also can’t promote themselves using DriveTribe according to this (without paying them, at least). Some might see this as a good thing because it might prevent “Guerrilla advertising”, but I think that on the whole it might not be a fair policy since so much car-related content can be considered “sponsored” in one way or another.. Lets look at what it means to post content to DriveTribe starting with section 5.7 of the terms. Bolding is mine. (2)to allow us to grant other users of DRIVETRIBE the right to view and share your Content on DRIVETRIBE and via other website and social media sites using DRIVETRIBE sharing and embedding functionality. (3)use your Content to promote DRIVETRIBE online, and for this purpose, you allow us to create derivatives and edits of your Content, and combine it with other users’ Content and Original Content. e.can be ended by you on written notice to us, save that you acknowledge that certain content that you upload will remain on DRIVETRIBE as set out in clause 5.8 below and that we may continue to use your content in any promotional or marketing content created by us. Whilst we may, in future, place advertising on DRIVETRIBE or introduce adverts in the DRIVETRIBE video player before, during or after your Content, we will not sell your Content to any third party. 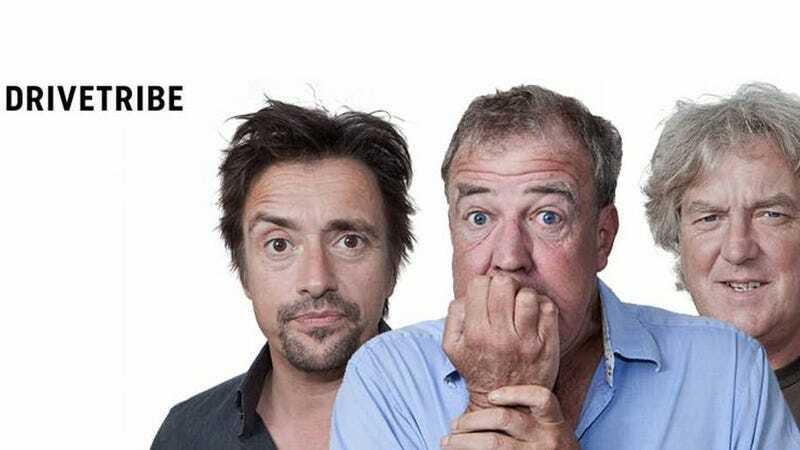 If we do allow advertising on DRIVETRIBE then we may put in place a revenue share arrangement so that you can share in advertising revenue generated from your Content, and we will update you on our plans if and when such an arrangement comes into force. 5.8. You may delete your Content from DRIVETRIBE using your account profile. However, our right to continue to use your Content outside of DRIVETRIBE for promotional purposes shall continue as set out above. So basically they can edit and redistribute any content you post to DriveTribe, even if you delete it. In fact, they can even delete or suspend your account without reason or notice but still continue to use your content. They don’t have to attribute you at all. Even if you write a letter to them asking to revoke their use of your content, they don’t have to take down anything they already made using it. I guess that’s not unreasonable but it’s still annoying (because they won’t want to delete an entire promotional video they made when they lose permission for one tiny clip in it). They are also at will to change these terms and conditions of use at any time and by using the website that means you comply (this is actually normal for most websites though). By way of example, your content shall not be a paid for or sponsored promotion, nor will you include any advert pop ups or pre or post-rolls. If you are interested in using the Service to commercially promote or share information about products or services, please get in touch with us at contact@drivetribe.com. So they can use your content to generate advertising for themselves or their partners but you’re not allowed to distribute your own sponsored content though DriveTribe without their permission. I do wonder what will happen if people flash the GoPro logo or a race team sponsor logo at the beginning of their posted videos though. 1.1.1. We will obtain personal data about you (such as your name, address, telephone number, email address, photograph) whenever you contact us, register an account with us, submit material through a form, or via part of the Service, for example when you upload videos, we will obtain any personal data which is contained in those videos. 1.2.1. We may monitor your use of our Service through cookies and similar tracking technologies. For example, we may monitor how many times you visit, which pages you go to and which videos you watch, traffic data, your IP and MAC address, a unique device identifier, the browsers and devices you use to access our Service, your internet service provider, and the actions you take when using our Service (“Analytics”). 2.3. We do not disclose information about identifiable individuals to advertisers, but we may provide them with anonymous aggregate information about our users (for example, we may inform them that 500 men aged under 30 have clicked on their advertisement on any given day). We may also use such aggregate information to help advertisers reach the kind of audience they want to target (for example, women in London). We may make use of the personal data we have collected from you to enable us to comply with our advertisers’ wishes by displaying their advertisement to that target audience. So they’ll share your email with everyone. Annoying but pretty normal. DriveTribe will probably tattle on you if the Police ask them to. People are probably going to be posting a fair number of videos of laws being broken but they don’t really make any effort to make stuff private. Maybe deleting your account could work because they do say that’ll make the content “Anonymous”. 7.3. However, any Content which you have already shared through the Service may be retained on the Service. For example, users may have shared your videos or you may have commented on other Content. If you deactivate your account without deleting content, that content will remain permanently accessible through the Service, but may be marked anonymous. We shall also retain all anonymous data related to your account and use of the Service to enable us to continue to better understand how users use the Service. We will not be able to identify you from this data. Again, while annoying, I don’t think this is out of the ordinary. You’ll probably want to be careful before posting anything really reckless though. I’m not a lawyer or anything but I’ve read over a few of these terms and policies and while DriveTribe’s is mostly standard I think that those few things I pointed out are important issues which should be considered. Perhaps someone more qualified can weigh in.